Posted: June 28, 2013 | Author: admin | Filed under: Uncategorized | Comments Off on Centos ok! I was having a tough time getting Debian to recognize a dual screen setup. It was a tough week no doubt but while I was trying to figure out the dual monitor problem, the video card in my machine died. Luckily I had a spare but I also have been using a debian centos windows setup at work. I decided its time to consolidate. So this afternoon I took stock of the machines I have – Dell 6420, Dell Optiplex960 and a Lenovo M58p. Both Dells are leased machine, the Lenovo is a frankenstein machine I put together. I also realized I had been under using the ram in this machine. I have a total of 8gigs and have been using 32bit Debian build. That all changed today. I’m going to moth ball the Dell machines because those will need to be returned in about 6 months. My lenovo machine will be my primary machine. I’ve installed Centos 6.4 – 64bit version. Now I’m using most of the 8 gigs of RAM. I have three vms I can run simultaneously if I choose. I’ve also decided I’m wiping my slackware laptop at home and putting centos on this machine as well. As mentioned in previous posts, its time to finally stop talking about trying for my LPI cert and actually do something about it. In the coming weeks whenever I have spare time you’ll start to see those videos I have been promising. Including my recent reinstall of thunderbird. I think I may have left one key element out of my tutorial. The video will make up for that. My laptop is almost up to speed already. I’ve installed mumble, audacity right off the bat. The machine is good to go. Posted: June 28, 2013 | Author: admin | Filed under: Uncategorized | Comments Off on Wha happened? Yeah the picture above pretty much sums it up. Gregory Campbell set the bar a little too high. In this pic for those who do not know, just had his leg broken by a slapshot and yet he remained on the ice to finish up the penalty kill. 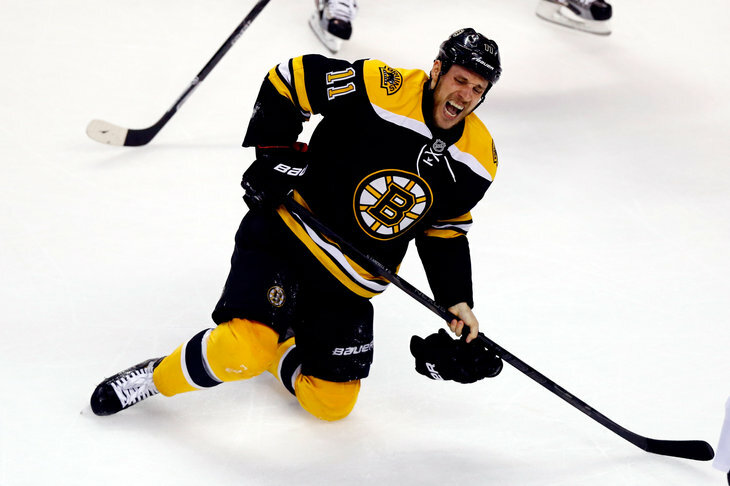 Little did Bruins fans realize what a loss this ultimately turned out to be. The Bruins had a good run and there is a lot of hope for next season. As for the Blackhawks, as I mentioned before, I don’t hate them and what did they do? Took out a full page ad in the Boston Globe today to say Thank you to the Bruins fans and orgainization. That showed a lot of class! It only cements what I thought of their organization and while no one likes to lose, the Blackhawks play an honest tough series. That sound you hear? The door closing on the Blackhawks season! Posted: June 18, 2013 | Author: admin | Filed under: Uncategorized | Comments Off on That sound you hear? The door closing on the Blackhawks season! 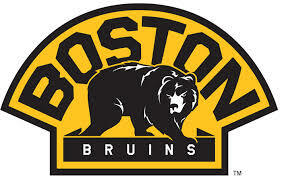 With the win last night the Bruins took a 2 – 1 lead over the lifeless Blackhawks. I’ve thoroughly enjoyed the stanley cup playoffs and the finals have not disappointed. Unlike the last series where the Bruins played the hated penguins, I don’t hate the Blackhawks. Infact if there were any other team playing for the cup, I would have most likely chosen Chicago. Ok, there will be a delay in the next episodes. The next one due out will be more of a philosophical approach to privacy and security. The one after that will be about KDE. In fact that is the reason for the delay. I will be speaking with one of the KDE developers, just not sure which one as of this afternoon. On a side note, given the fallout over the NSA and their spying on US citizens, the side product has seen a marketable rise in the use of Duck Duck Go. I will also be reviewing DDG in the security/privacy podcast so be sure to catch the show. DDG also passed a milestone today hitting it’s 3 millionth search just 8 days after hitting its 2 millionth search! That’s a nice zero day you’ve got there! Posted: June 15, 2013 | Author: admin | Filed under: Uncategorized | Comments Off on That’s a nice zero day you’ve got there! Here is a small followup from episode 129. There was a fantastic opening keynote talk by Dan Geer about Privacy but the talk branched out to so many different topics. One of them was on zero days, viruses and malware in general. Geer had discussed the idea of making all zero days, viruses and malware “open” to all. Taking from the unix/linux model of making things open in order to fix them. This of course is not the way of proprietary software. There is no good reason to hide these things unless there is a hidden agenda but that borders conspiracy and that’s not what I’m pushing here. I found this article interesting and I think you will as well. Microsoft and other US companies disclose security flaws to spies before customers. As if you needed yet another reason to get rid of MS in your home. Work is one thing but home is another and with our constantly erroding sense of privacy, every little bit to help secure your privacy should begin in the home. Episode 130 – What’s Bruin? Posted: June 10, 2013 | Author: admin | Filed under: Podcast | Comments Off on Episode 130 – What’s Bruin? 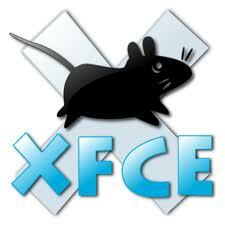 http://forum.xfce.org/ Yes they have forums too! Next up I give you a short how to on how to setup your keyboard shortcuts. Iginla did indeed choose poorly! Posted: June 8, 2013 | Author: admin | Filed under: Uncategorized | Comments Off on Iginla did indeed choose poorly! Yeah this has certainly been a good time to be a Boston Bruins fan! Whatever crumb of respect I had for the penguins went out the window with game one of the series. Sidney (Cindy) Crosby was a sniveling, pathetic display of a hockey player. However his ridiculous claim of the Bruins not shutting them down was weaker than their 0-15 powerplay. Losing 4 games to nothing, scoring only two goals in the entire series and never holding a lead once during the series sounds like shutting down to me. Maybe we have different ideas of what shutting down means. It has certainly been a hectic week, however I figured this would be a good time to post and catch people up with the day to day stuff that has been going on. Doortodoor Geek will be taking over the admin of the openspeak rooms. They will also be renamed under the podnutz network which makes sense given the close ties with them and Doors new role as President of the network. The forums will also be changing as well. I’m on the fence about the python stuff, the only other person showing interest lives in New Zealand and the time difference could be a problem here. As the forums change, all the updates will appear in the NEWS section of the forums. Look for a new show tomorrow in your feeds. Posted: June 3, 2013 | Author: admin | Filed under: Uncategorized | Comments Off on Python or garden snake? I had hoped that we could revive the python study group that Buyer Brown had wanted to get up and running a while back. After two weeks straight and no one showing up in mumble, I’ll put this on the shelf for now. I will continue going through codecademy on my own. I thought it would be a good group to get up and running. We are also entering the Summer months so attendance tends to be on the lighter side. Posted: June 2, 2013 | Author: admin | Filed under: Podcast | Comments Off on Episode 129 is now out!